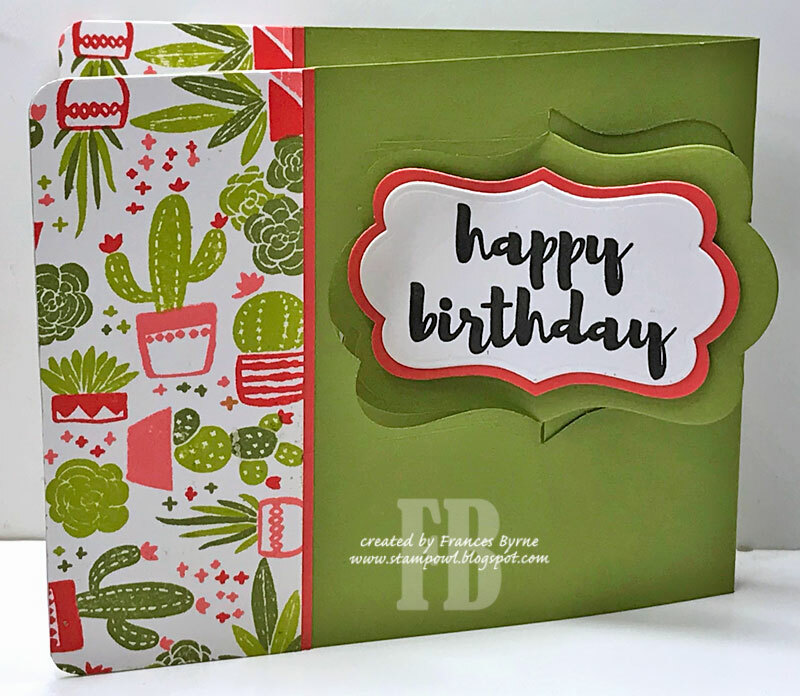 Today I am sharing a birthday card I created recently using one of Concord & 9th's new Turnabout stamps from their January release and an old favorite ... the Katie Label Pivot Card die set. It has probably been at least 2 years since I made a card using Karen Burniston's Katie Label Pivot Card die set which used to be available from Elizabeth Craft Designs. This used to be one of my most used die sets, and of course I miss using it ... so I decided to pull it out to play with for my card today. To decorate my card I used Concord & 9th's To The Point Turnabout Stamp and coordinating die set. This stamp does allow you to ink up the image with at least 8 different colored inks, however seeing I was just using a 2 inch panel on each end of my card, I couldn't get the panels to look similar with that many colors. So I decided to stick to 4 different colors which for this card looks much better, although I do like the look of 8 colors on a finished card when you are only using the one panel. 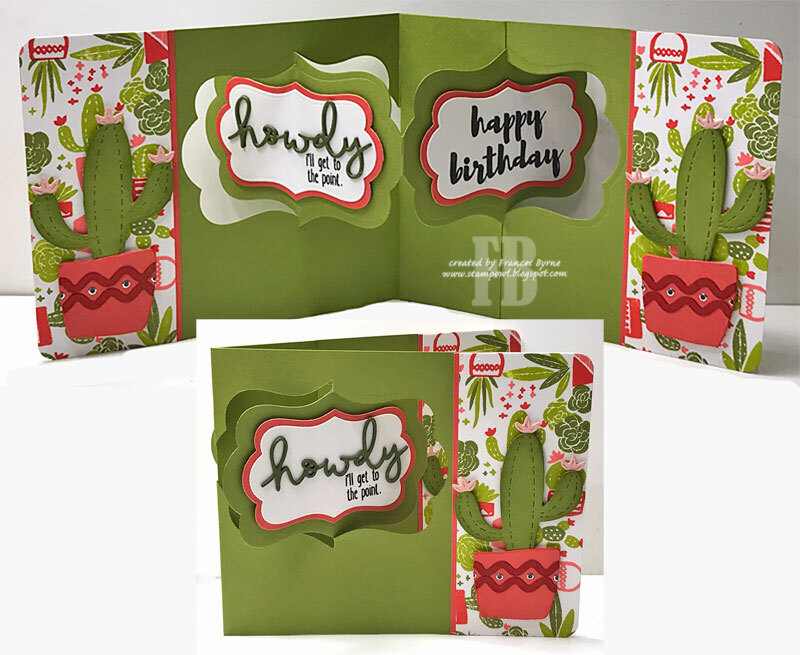 I decorated each of the three panels (front & two ends on the inside) using the cactus and pot from the coordinating die set. 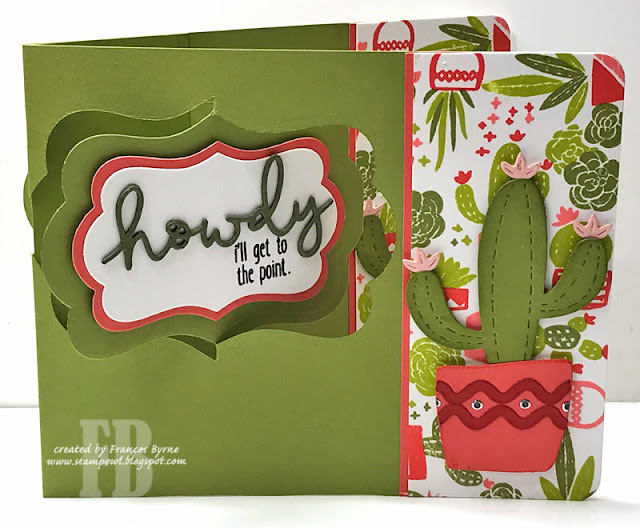 The "Howdy" sentiment is also included in the die set and I added the smaller sentiment which is included in the stamp set. As I always need birthday cards, I added a birthday sentiment on the right hand side label. Here is a look at the back of the card. As you can see I added another of the turnabout stamped background to the edge of the card and of course the birthday sentiment can be seen. Love this! Of course you would know that already, ha ha. It's my Birthday Month, so let me know if you need my address. This card is just perfect for me. Ahahahaha. So fun to see our beloved Katie Label Pivot being used again too.